This tour was one of my top FOMO excursions last year. I really missed out on this epic adventure with the girls and if you are a snow bunny, this is not one you want to miss. Claire Hooper from the 2012 Mint Chicks trip was trying loads of tricks she never thought she would. She says it was one of the most memorable weeks in her life. 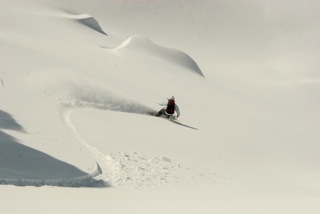 “There is nothing better than a shredding holiday with a group of awesome chicks.” said Claire.